If you are searching for pallet racks, pallet racks near me, or pallet racking systems in Phoenix, Storage Equipment Systems can help! We provide installation of many different types of new pallet rack storage systems including: single deep selective racks, double deep selective racks, drive-in racks, drive-thru racks, push-back racks, gravity flow racks, and cantilever racking systems. You need to create more space. You need to store more pallets. 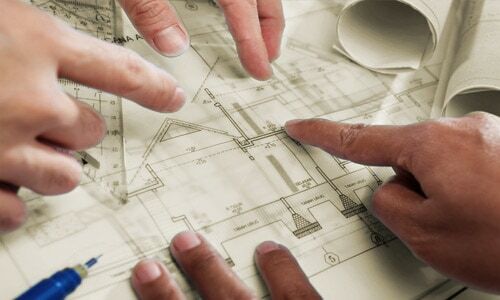 Your area is fixed, what you need is to “stretch” your building. You know pallet racks are the answer. What now? Where do you go from here? Call us! Our team will show you how to store more pallets. Let’s work together to get those pallets stored and organized. Where do we start? First of all… Space efficiency is meaningless unless it’s productive.Any addition of pallet racks must be planned and well thought out. 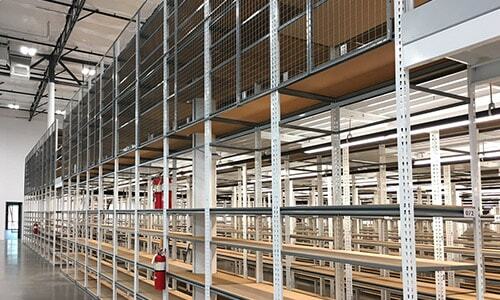 The right racking solution can represent a company’s ability to remain competitive in the marketplace. So we begin by determining your inventory characteristics. Do you need access to every pallet in the warehouse? This is the most common style of pallet racks. 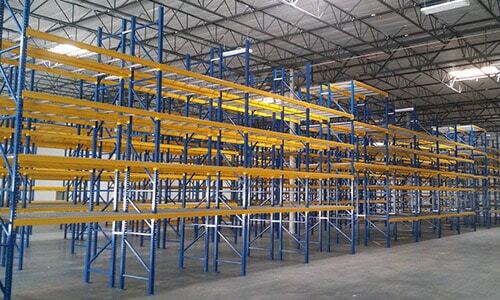 It is the lowest density storage of any type of pallet racks. However it allows unimpeded access to every pallet. 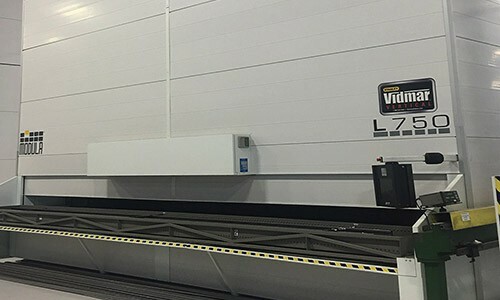 It can be used in many different aisle configurations and can be designed to work with any type of lift truck. Pallets are stored one in front of the other, adding density to the storage system. 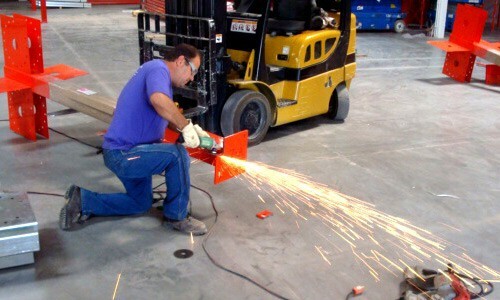 Specific lift trucks are required to access front and back positions. Do you have many pallets of just a few SKU’s? This style of rack stores pallets of the same products in a multiple deep configuration. The density is considerable. This system works best when the entire bay is emptied prior to restocking. This type of storage is usually configured in two pallets deep to five pallets deep. 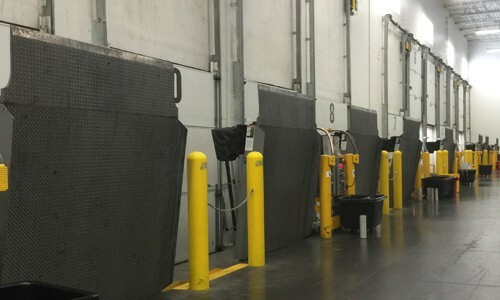 The first pallet entered into the system is “pushed back” as subsequent pallets are introduced into the multiple deep location. 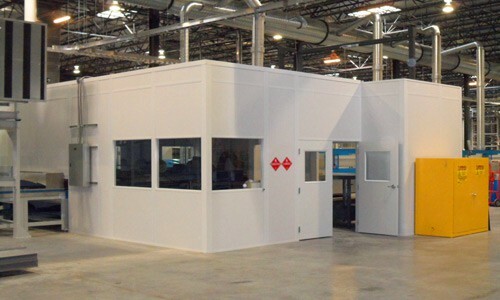 This type of storage is productive and offers significant density and multiple product storage and selection from individual bays. Pallets are stored and retrieved on a last in- first out basis. Pallets are introduced into the system from the rear and retrieved from the front. This provides an extremely dense style of storage and insures first in-first out inventory rotation. This storage can be used for pallet loads or for cartons in an order picking application. Long cumbersome products and oversized loads may be stored in cantilever racks. The absence of vertical supports on the outside ends of the support arms permits uninterrupted storage of long length material. These racks effectively store bar stock, pipe, tubing and furniture. We not only sell pallet racking systems but we also offer professional racking installation services. 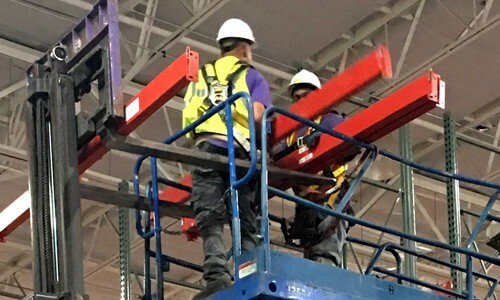 Unlike other material handling companies, our installations are only handled by professionals, we never use subcontractors for any of our installations. 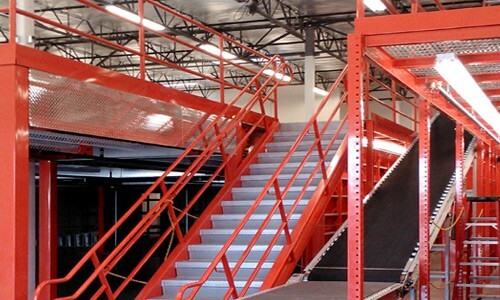 We can design and install your pallet racks to optimize your warehouse. 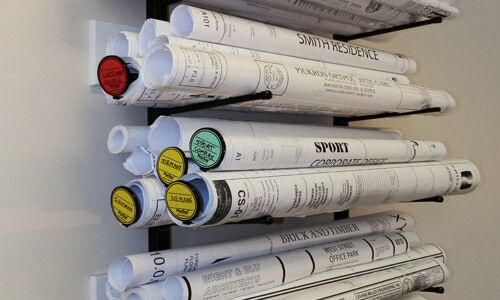 Our installers are professional in appearance and manner. 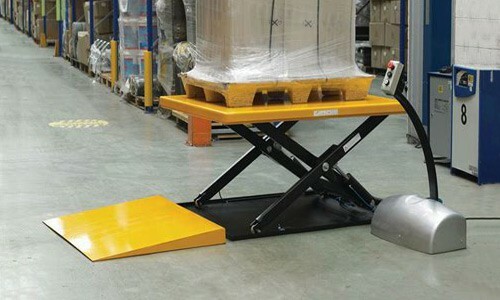 We also sell pallet racking equipment online. 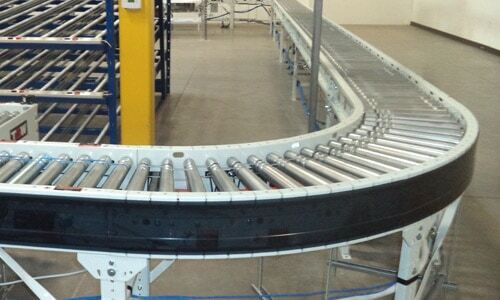 Visit our online store to purchase pallet racking equipment and accessories. Let’s talk about your game plan. We’re here to help, and we can outline your objectives and begin to make this warehouse or storage area efficient and productive. 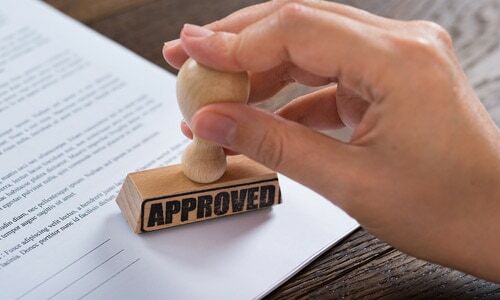 Contact us at your earliest convenience to learn more! 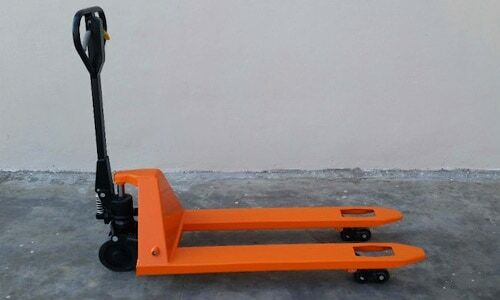 We also sell pallet trucks and offer other warehouse storage solutions.